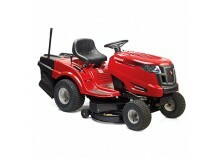 If you have a large lawn to mow and want the job done as quickly as possible, a Lawnflite Smart lawn tractor is the perfect choice for you, whether you opt for a rear discharge or side discharge model. 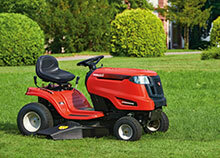 Once you have mown your lawn with this, you'll probably never go back to a walk behind mower. 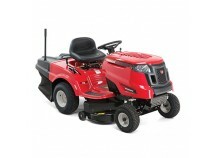 Lawnflite Smart lawn tractors are practical, robust and reliable, and with a cutting width of 76cm - 105cm, they are ideal for areas measuring 1000 sqm to 3000 sqm. 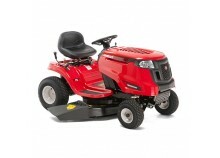 Thanks to the small turning radius of 46cm, mowing around bushes and flowerbeds is safe and simple. 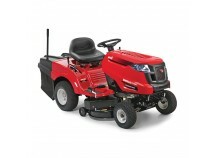 All tractors have a step through frame, making it easy to get on and off; a drinks holder, an adjustable seat, head lights and ergonomically designed controls for deck engagement and transmission. The cutting height can be easily adjusted to the five positions between 30mm and 95mm. 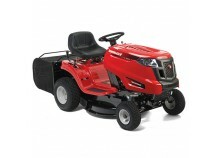 All Lawnflite Garden Tractors will be delivered right to your door by one of our Specialist Dealers in your area using our `Tractor White Glove Delivery Service` Click here for full details.